Warning, warning! 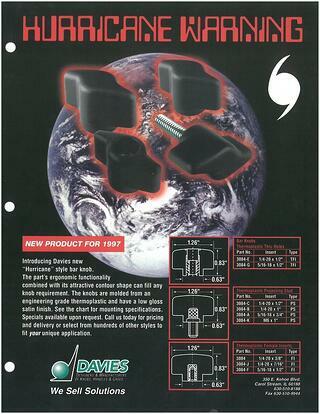 Hurricane knobs have been spotted at Davies Molding in Carol Stream, IL! We want to spotlight a product that we first introduced in 1997. This product is our "Hurricane" style bar knob or two-arm knob. They are constructed of thermoplastic material and can be made in a variety of colors. These knobs are often referred to as "Hurricane Knobs" due to their ergonomically designed shape. They are available with female inserts (2020 series) as well as projecting studs (2022 series). 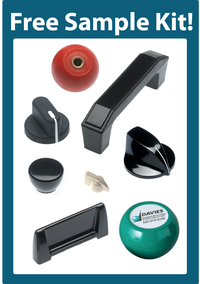 Contact our team to find the knob that will fit your application info@daviesmolding.com.